Ride in comfort with this ideal designed bus for transportation to all local airports and cruise ship ports. Recently our mini coach has been in great demand for weddings, rehearsal dinners, and wedding party pre-ceremony transportation needs. Give us a call and let us get you there safely, relaxed and ready to enjoy your destination and function. 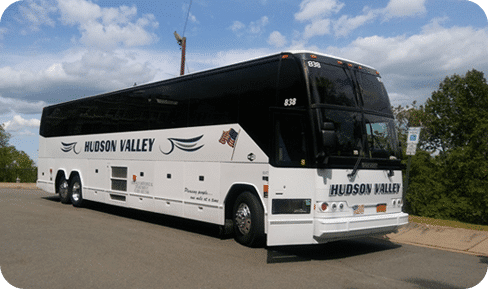 At Hudson Valley Charter Service, our fleet of modern, luxurious buses are available for charter to accommodate most groups and most destinations. We will help you to choose the right bus for your needs… weddings, special events, senior groups, family gatherings, class trips. 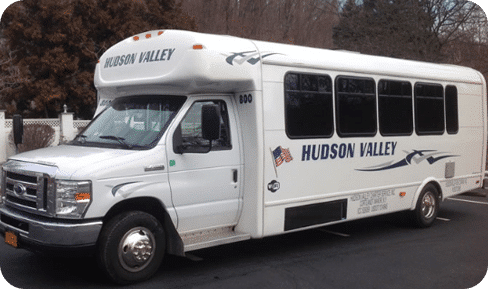 Hudson Valley Charter Service, Inc. Copyright © 2019 Hudson Valley Charter Service. All Rights Reserved. Design by Bofill Tech.